SEASON THREE, EPISODE FIVE- "4,722 HOURS"
4,722 hours, that was the length of time Jemma spent on the other side of the universe. This episode took us back in time to when Jemma got sucked up into the liquid rock that was in the background last season. The truth behind it finally revealed in this season. It is not the symbiot alien that gave us a few Spider-Man villains, its something else entirely. In fact, I am not sure the rock was from the comic books at all. Which is fine, not EVERYTHING in the show is something from the comic books. I really don't mind when they make something up for the show, its fun to keep us guessing as viewers. In tonight's episode, the entire focus is on Jemma. This is how she survived on the mysterious planet she found herself on when the liquid rock swallowed her. She thought for sure once she landed on this planet that Fitz would zip right to her using his brilliant brain, but it wasn't how it happened. At first, she's actually blissfully optimistic. She looks around the planet, discovers that its breathable, has better gravity then Earth, and the more she's looking around ,the more she begins to realize that maybe Fitz won't be coming anytime soon, perhaps its a lot harder to get to her than she thought. So she has to survive. She makes fire, she tries to find water, which is shockingly drinkable, and finds food which is equally-shockingly edible. So at first, I thought this episode would be the Marvel version of "Castaway," but then it tripped us up, just like they usually do. You see, there is another person on the planet. An American astronaut has also been on the planet since 2001. His name is Will and he is played by an actor named Dillon Casey. At first, as to be expected, Will and Jemma do not trust each other. But they eventually warm up to each other. Will is drawn to Jemma's magnificent intelligence, and how she thinks. Jemma likes Will because he's strong, he has experience on the planet and hell, its just good to have someone else around on a planet with no sun. Will also breaks the news that the planet seems to almost have a mind of its own. This seems hard to believe for a science nerd like Jemma, but the more she's on the planet, the more she believes it. Now, this might be a stretch, but I wonder if the planet Jemma and Will are on is Ego the Living Planet from the comics. 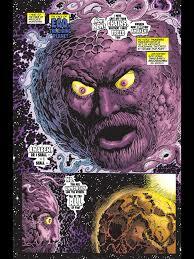 Yes, there was a planet with a face in the comic books. How is that as silly as a talking raccoon? I liked an episode that had no Coulson or Daisy and focused on Jemma. Even though Jemma and Fitz have both broke out as great characters, it still seemed like Jemma was mostly confined to the background in the first two seasons. I like that they have given her something significant to do on the show. And if they decide to throw her into a love triangle, that will be extra interesting. Oh yes, things got slightly steamy between Jemma and Will. Nothing sexual, nothing nasty, but they began to care for each other. It was natural, there was no way that Jemma thought she'd ever get back to Fitz. But when Fitz does land on the planet, it seems like Will sacrificed himself so that Jemma could get back to Fitz. 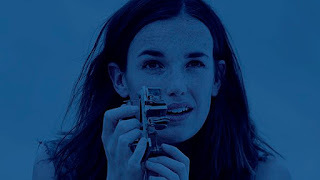 At the end of the episode, Fitz shows Jemma all of the surveillance and research he has done on the planet, and it is revealed that Will is still alive. That is why Jemma wanted to go back so bad last week. While I feel bad for Fitz, Will has the potential could be a cool character, and it will be interesting to see what comes of him. But Fitz, poor, poor Fitz. Something like "4,722 Hours" is clearly a filler episode, but its a very good filler episode. Plus, it would have driven us nuts to not know what Jemma was up to while she was away. I am sure this planet will begin a larger story line for the rest of the season, so perhaps it wasn't a filler episode at all. We will find out as time roles along, but overall another solid episode.